If you’re looking for an orthodontist in Fort Walton, Florida that offers high-quality, comprehensive family orthodontic care, Orthodontic Specialists of Florida has just what you need. 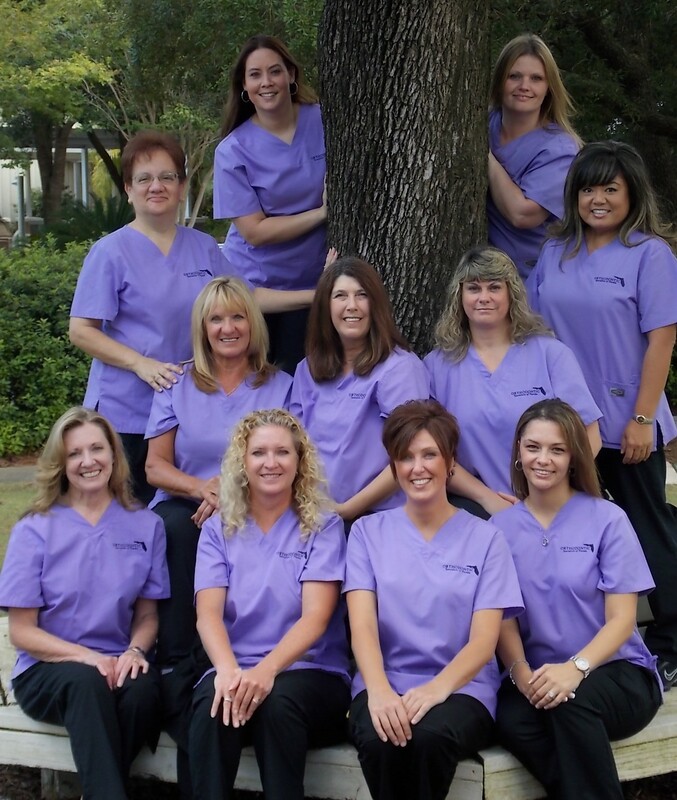 At his convenient office location at 124 E. Miracle Strip Parkway, Suite 401, in Mary Esther, FL, Dr. Browne works closely with his patients to meet all of their orthodontic needs. Our orthodontic care doesn’t just make people look better; it also helps them achieve improved oral health and enjoy all of its benefits. Orthodontics offers specialized care that is frequently associated with a visually pleasing smile. However, the main purpose of orthodontics is to ensure that patients maintain healthy gums and teeth. Disfigured and misaligned teeth provide a suitable environment for germs and food residue to accumulate. When gaps are present, the gums are poorly protected against the plaque and bacteria that degrade oral health. Orthodontic services can even help some patients to speak more clearly and eat more easily. In many cases, metal braces are the most appropriate option for children; they’re an essential part of childhood orthodontic care. Stainless steel brackets gently nudge the teeth into their proper positions. People with malformed teeth often experience pain and difficulty while eating. Orthodontic care improves oral hygiene, thereby helping to prevent tooth decay. Having straightened teeth leads to an improved smile, greater self-esteem, and more confidence. When visiting our Ft. Walton, Florida orthodontics practice, you’ll be greeted warmly by our professional and friendly staff, who will ensure that your whole family feels right at home. We also provide you with the best possible orthodontic care available. We spare no expense in making sure that our environment is relaxing and that you have a pleasant experience. People who live and work in Bridgeport Colony, Lighthouse Pointe, Chula Vista Bayou, Cinco Bayou and all surrounding areas choose Orthodontic Specialists of Florida for all of their orthodontic needs. We welcome new patients and offer a free initial consultation that includes X-Rays, and exam and full consultation. If you’re trying to determine whether orthodontic treatment is right for you, we can provide a second opinion at no charge. At Orthodontic Specialist of Florida, we look forward to helping you and your family to achieve your orthodontic goals. Give us a call or drop by today to meet our Ft. Walton orthodontist.